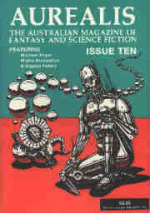 Peter Cooper’s short stories have appeared in Kaleidotrope, Andromeda Spaceways Inflight Magazine, Antipodean SF and Fablecroft’s After the Rain anthology. His children’s fantasy trilogy Tales of the Blue Jade was published by Scholastic in 2012. He lives in Adelaide with his wife and three highly energetic sons, and writes the occasional blog post at cacklingscribe.blogspot.com.au. After a career as a software engineer, Ben Spillers recently attended culinary school in Vermont (USA), which led to a much shorter second career as an artisinal bread baker. He now resides in Colorado Springs (USA) where he found the love of his life for whom he bakes extraordinary bread. Bentley Reese is an English Major attending the University of Wisconsin Madison (USA). While he tries to sneak into a nice grad school, he enjoys writing stories of the macabre and fantastical. His works have been published in Shimmer Magazine, Encounters, the Midwest Prairie Review, and now Aurealis. He also was a finalist in the Muller Awards and is completing edits on his first novel. Gillian Polack is a writer, editor and historian. She had four novels published, and her second novel Ms Cellophane (Momentum) was shortlisted for a Ditmar. She has edited two anthologies and has seventeen short stories published. Lachlan Walter is a writer and nursery-hand (the garden kind, not the baby kind), and has completed a PhD that critically and creatively explored the relationship between Australian post-apocalyptic fiction and Australian notions of national identity. 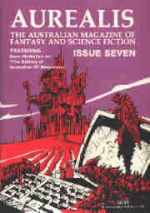 He writes science fiction criticism for both Aurealis magazine and its offshoot blog. 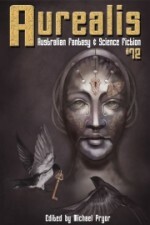 Stephen Higgins is one of the co-publishers of Aurealis. Now this is bunkum. The Mandibles is very clearly science fiction of a heartily traditional sort. It takes some trends and extrapolates them into the not too distant future. 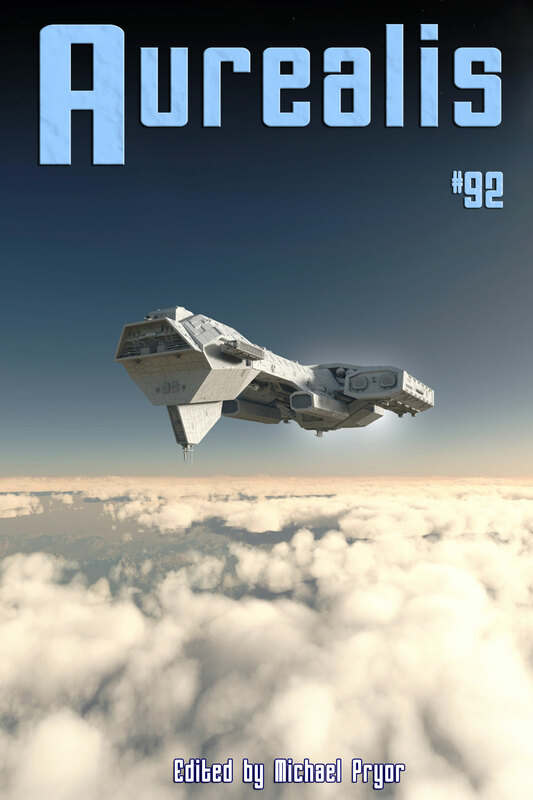 A classic science fiction approach and classic science fiction methodology. Not terribly original, maybe—how many times has ‘a frightening, fascinating, scabrously funny glimpse into the decline that may await the United States all too soon’ been done?—but solid science fiction stuff in any case. Then why is HarperCollins at such pains to distance The Mandibles from being tagged as SF? Surely it’s not snobbery, the fear that labelling such a work as science fiction will automatically belittle the book in the eyes of the public? And, if not in the eyes of the public, then in the eyes of the literati? Yes, rhetorical questions, all of them for we know that’s exactly what’s going on in the minds of the HarperCollins bods. It’s the same impulse that gets every mainstream writer who happens to stray into genre territory quickly disavowing any genre tag, and don’t they do it frantically? We’ve seen it for years, decades and if we thought that the situation was getting any better The Mandibles just serves to dispel that. Margaret Atwood, anyone? We used to get mad. Now we’re just resigned. I woke beneath a sky filled with unfamiliar stars. For an age I stared up at them, fumbling for the scattered fragments of my consciousness, desperate to draw them together and settle my thoughts. Why was it so dark here? This wasn’t the darkness of midnight or a moonless night. The blackness between the stars was like ink. Gerard Nitin sat on a hotel roof with his back to a low concrete wall. A tube cutter in his right hand rotated one way, and then the other, over and over, scoring the metal armour of a power cable in two places. Once the cutter breached the casing, he snipped away the loose metal under the light of his headlamp. One at a time, he applied a solvent to the exposed filaments of the cable to remove the insulation, revealing the copper conductors. Using his bare hands near the dangerous current, he looked like a foolish old man instead of the aged technical wizard that he was. He hated wearing gloves while working, always had. He clicked a plastic connector over each of the chemical wounds. Those connecters attached by wires to what looked like a splice kit. Corpse Eater was Necromancer Skeeva’s greatest creation. She made him right. She made him ugly. She made him hungry. Skeeva ruled the Wise Road and Corpse Eater was her eater—her dead friend. He was the first thing she had helped crawl back over the dead fence, from the frozen-still to the jumpity-bite. White, black, rotten, skulls galore, it didn’t matter; if someone or something died in the Great Marsh, between the far coasts of Dovar and Preston, odds were its final resting place would be Corpse Eater’s stomach. Skeeva often told Corpse Eater that he was a wild thing. That he loved the blood he spilled for her. She told him these things, for he could not easily think them himself. The writing world is full of solid literary criticism. Sometimes, it’s important to see literature from a different perspective. We bring ourselves to our reading. We bring our dreams about stories and we bring the other stories we’ve read and we bring our expectations. Readers aren’t neutral, so I thought I’d explore how this non-neutral reader sees a particular work. The work in question is Norman Lindsay’s The Magic Pudding. It’s so very Australian, with its larrikin humour and its reliance on British culture and its very Australian animals. 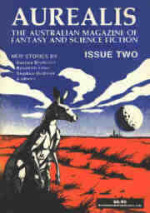 It’s one of the great works of Australian fantasy. It’s been written about by so many scholars and studied in all its nuances. Just not the way I will look at it here. When it comes to long-delayed sequels, we sometimes have to be careful what we wish for. And we have to be especially careful when what is being reintroduced (book, film, TV show, comic, video game—let’s just call it the ‘product’) has moved from the realm of fiction into the world of mass culture, or has a specific social/cultural/generational appeal, or one that transcends boundaries. The deeper the original product’s claws dig into us—as either individuals, members of a particular social/cultural/generational group, or as people in general—the more fraught its reintroduction. A song, a dance… an inability to complete a motto. Dendy Jumpup was Australia’s first star of stage and screen. He made the transition from silent movies to talkies and then back again, complaining that it was all too noisy.